UPDATE (November 15th): Since the original publication of this piece, it has come to our attention that the story being reported has been mistranslated. Specifically, it was originally reported that Miyazaki's CG short Boro would be turned into a feature. In fact, according to our sources in Japan the new feature idea is completely separate, and will be hand drawn as usual. Sorry for the confusion- but even more reason to be excited, right? All being well, a completely new Miyazaki film is on the way!
. @hammoo Nobody mentioned that Miyazaki makes the feture film of Boro. Miyazaki fust proposed another project as a feture film. @hammoo But Miyazaki writes "hand drawing" on the project paper for the next feature film. When Hayao Miyazaki retired from directing features after 2013's The Wind Rises, many wondered how long it would stick. After all, it wouldn't be the first time he'd planned to retire, only to come back- the same thing happened after Princess Mononoke. Now, it seems that the world's greatest living animator might be back to make at least one last feature after all. The retirement was only ever from features specifically, and we knew that Miyazaki would continue to work on shorts. It seems that the current short he is working on might be inspiring the master to make a return to full-length features after all. You may remember that he is working on a CG short entitled Boro The Caterpillar, that is intended to screen exclusively at the Ghibli Museum in Tokyo. A recent TV special entitled The Man Who Is Not Done broadcast on NHK revealed that Miyazaki was not satisfied just making shorts and wanted to make another feature. Boro is based on an idea that Miyazaki has had for more than 20 years and has been considered for features before. the short film will still be completed and screened at the museum. The film has not been officially greenlit by Studio Ghibli, but Miyazaki has apparently already begun working on it. In truth, it's hard to imagine them saying no to him- so while this is no done-deal, it would seem to be pretty promising. 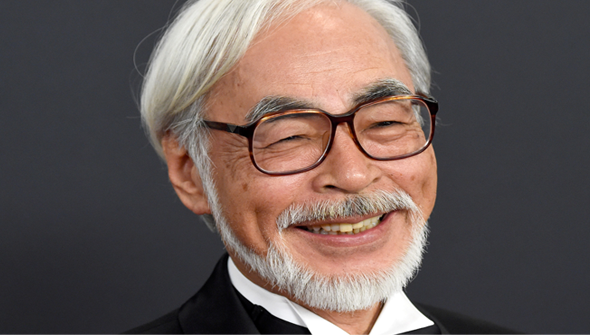 Miyazaki has suggested that the movie could be completed in 2019.